After receiving some money for Christmas, I put most of it in my savings but kept some aside for a few treats for myself. It has to be done right?! First of all I made a purchase from the online Lush Boxing Day sale. I only just managed to get the Christmas Candy Box with lots and lots of refreshing! If you went onto Lush's website that day too you will know what an absolute nightmare it was; I had so much on my wishlist and didn't get half of what I wanted. However I'm still pleased with the gift set, which contains a 100g bottle of Snow Fairy Shower Gel, the Butterbear Bath Bomb, Rock Star Soap and Candy Mountain Bubble Bar. I've not tried the latter two products and I've never tried a Lush soap, so I'm really happy that these were in the box. I used Candy Mountain the other night and it's already a favourite - full review coming soon! 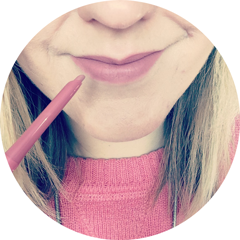 My fiancé bought a Canon 700d camera late last year for his business and it was inevitable that I was going to start using it for blog photos! He bought a couple of zoom lenses to go with it, but he said that the 50mm fixed lens, which is a favourite among bloggers, would definitely be better suited for blogging. So I bought the EF 50mm f/1.8 Mark II Lens to suit the 700d brand new and boxed from a photography shop on eBay for £68.00 with free delivery, which I thought was an absolute bargain. You can find the seller I used here, though the price has now gone up by a £1.00! I'm still getting used to the camera and all the settings, but I hope that my blog photos will get better and better as my photography and camera skills improve. This ceramic curling iron has been on my wishlist ever since I watched a YouTube tutorial by Wonderfuly0u. Previously I was using my hair straighteners to curl my hair, but they're quite chunky and I found it really difficult to do. The barrel of the Totem Styler has three different zones, each of which you can set to three different heat settings, so you can really control what type of curl you create. It comes with a removable stand, heat resistant pouch and style guide. The retail price for the Totem Styler is £59.99 and I bought this from an official store on eBay for just £23.99 with free delivery, which is a whopping 60% off!! It comes with a 3 year warranty. I've only turned this on to check it works and not properly used it yet, but I think it will make my life so much easier! You can find the seller I used here. 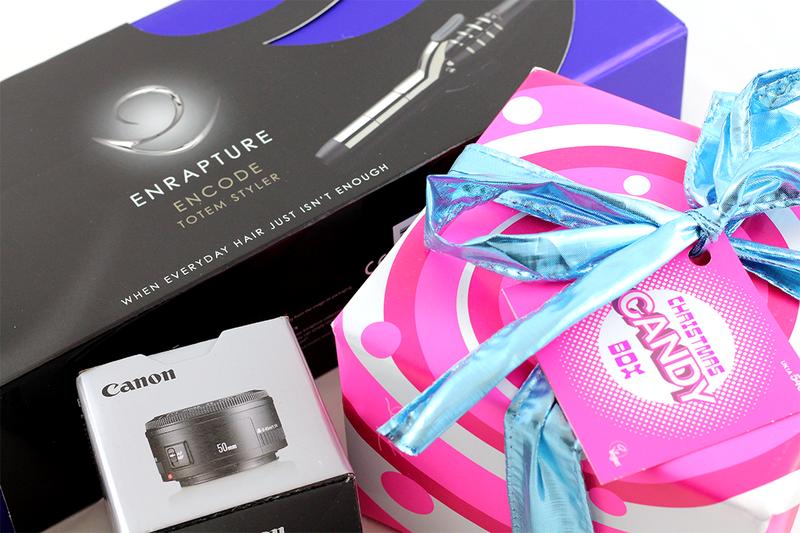 Have you purchased any New Year treats for yourself? Totally jealous of the Lush gift set! Will have to be on my Christmas Wishlist this year! Looks like you had a very lovely Christmas! That's a really fancy curling wand!! Whoah! hahahah 3 different heat settings at once! I just use my cheap remmington wand it does the job! 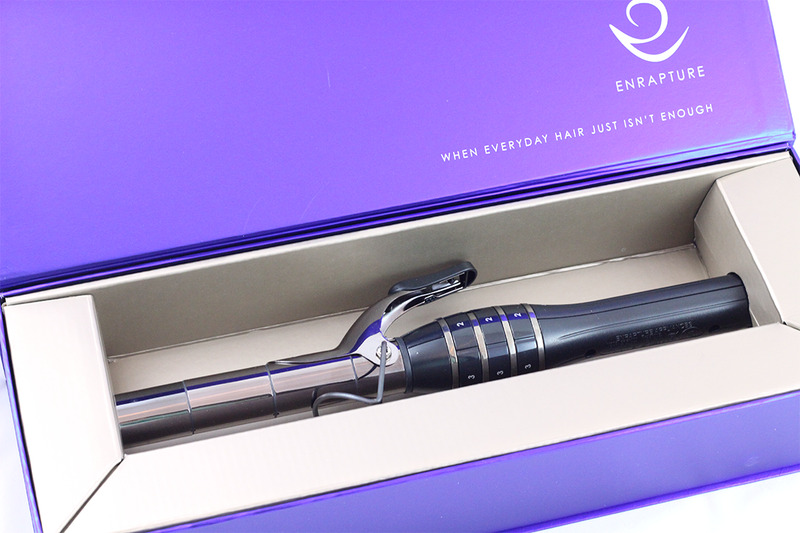 Can we see you do a review/tutorial with that curling wand? 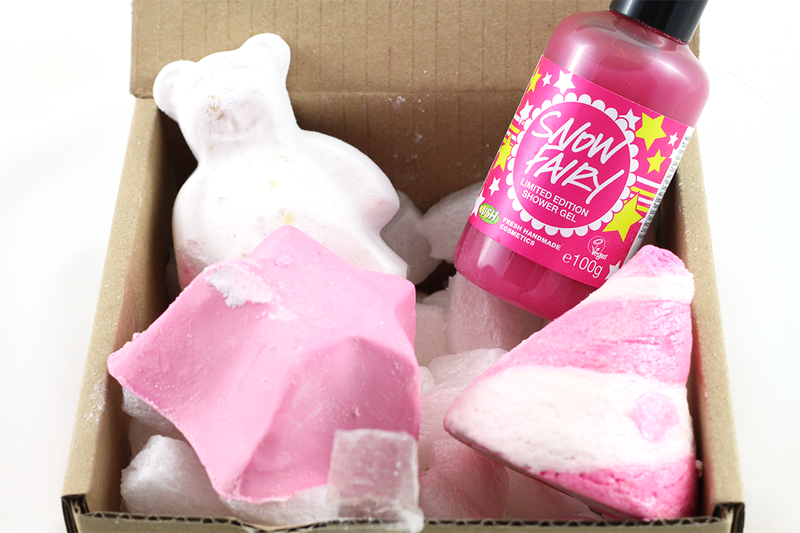 I love Snow Fairy so much but missed out this year due to their rubbish site traffic :( next year I'll be more prepared! The 50mm lens is my most used, love it. Great haul, I use my fiancé's Canon too, they're so good! You mind me asking what lighting you use with your photos they always look lovely and bright?